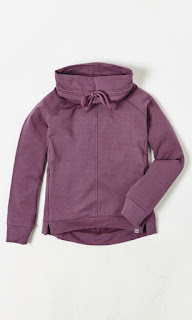 For clothes (Pilates or not) I'm loving BAM bamboo clothing I think you can feel greener buying bamboo clothes as it's a faster growing crop than cotton and uses a lot less water. I like this Women's Bamboo Horizon Sweat - very soft and cosy, great for winter! 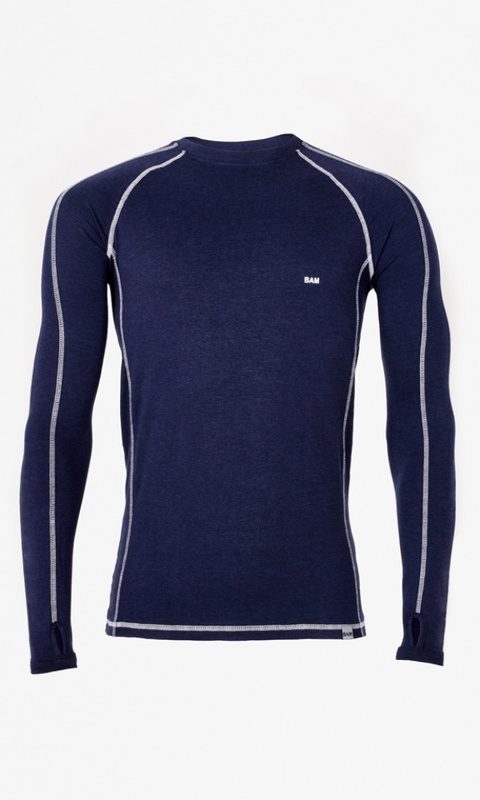 And I love the feel of their base layers - available in his and hers sizes! So that's tops, now for leggings. My pick for this time of year is extravagant but feels so good.. 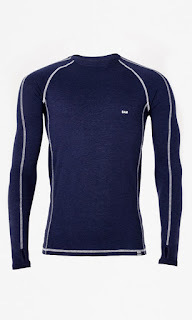 They are Sweaty Betty's Intensify Merino Seamless leggings - wool but definitely not scratchy and so fantastically warm! And to complete the outfit - socks! Here are two pairs for the colder months - the dusky pink are short without grips so good for everyday. The long blue pair do have grips and will get you to and from classes with warmer legs! Next, on to some kit to use at home over Christmas to work on any tight muscles - Franklin Method of course! 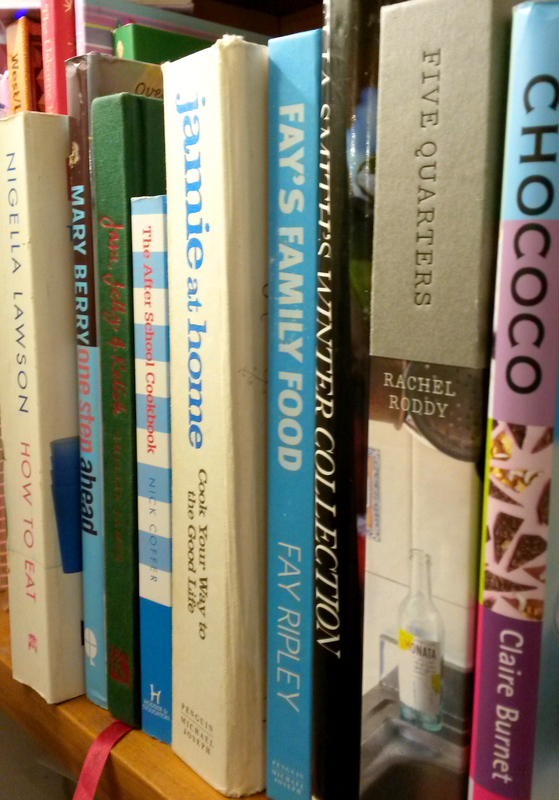 And when you've put your feet up, how about something to read? Just three books to choose from that may help you start 2017 even more healthy and happy. The first is Nick Littlehale's Sleep. For me, you can't underestimate the effect of sleep on health. And Nick tells us about helping numerous athletes achieve gains in their sport by sleeping better. 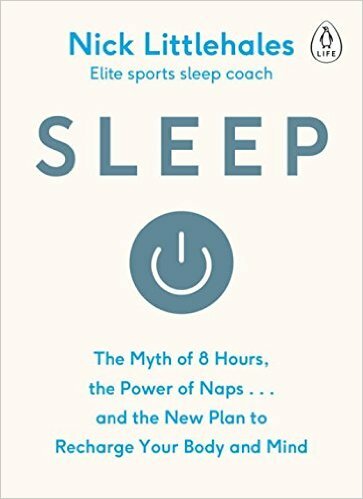 But good sleep isn't just for Bradley Wiggins - this book could help anyone getting a better night and it contains the revelation (to me at least!) that decaffeinated doesn't mean caffeine-free - who knew?! 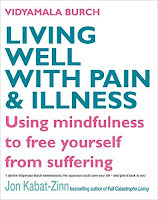 My second book is Living Well with Pain and Illness by Vidyamala Burch. 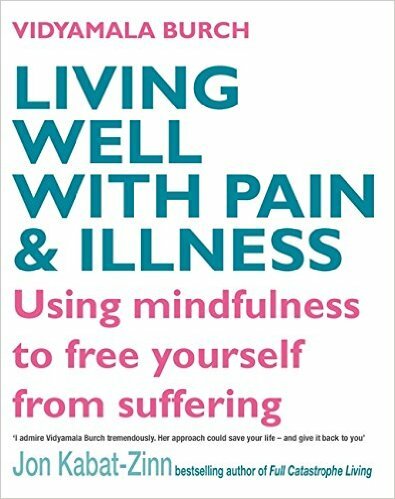 A book that helps us understand more about what pain actually is and how awareness, breathing and mindfulness can help improve our lives. 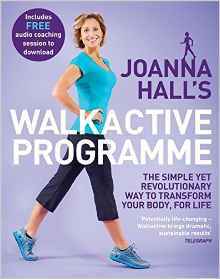 And lastly a good book for January to help us get more active outdoors by walking more. Most of us walk on autopilot much of the time but to walk as we're designed to takes more awareness. Joanna Hall shows us how to optimise our gait and how to get fitter at the same time. 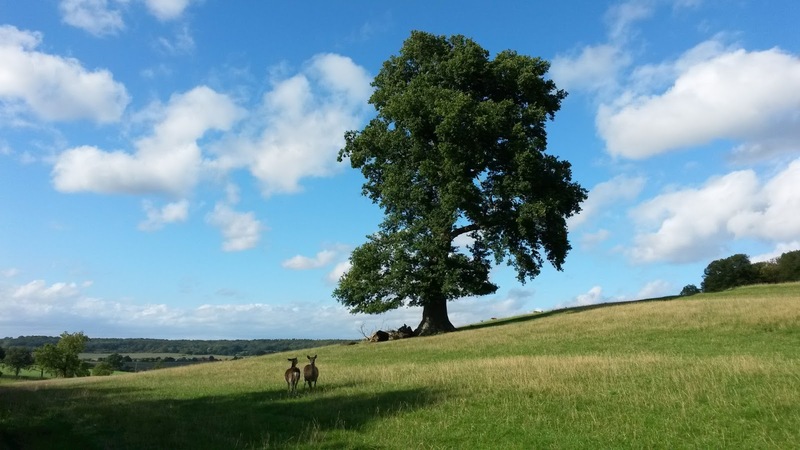 What better way for body and mind to start a year? Ah, there is one way - and that's a Principal Pilates 1-1 of course! Vouchers available from Caroline! Merry Christmas and looking forward to a Happy 2017 for all! What's all the fuss about fascia? Fitness industry training about fascia is fashionable now. Earlier this year I did some excellent training with Heather King-Smith on Myofascial Slings. The training draws on the growing body of research on fascia and how it functions. Going back in time to my initial Pilates training, understanding of fascia was less widespread across the fitness industry. And the received wisdom was to work muscles first then stretch them afterwards. Having discovered the Franklin Method, last year we had a term of classes that included Franklin hamstring fascial release. We finished each class with the Shoulder Bridge exercise (pictured left). In the past, some clients would always experience cramp in their hamstrings despite warming up and doing static hamstring stretches first. But in our hamstring-fascial release term I was impressed to see that no clients cramped in the Shoulder Bridge. Fantastic! But why and how does that work? And to begin with, what is fascia? The outer most layer (superficial fascia) gives our body its shape. Visceral fascia surrounds and supports the internal organs. Dense layers of deeper fascia surround and compartmentalise muscles (such as the quads). Elsewhere fascia forms thick sheets which are strong enough for muscles to insert into (e.g. the Thoracolumbar Fascia). Fascia can become restricted which may cause pain and / or dysfunction. For example, fascia can get damaged and tighten down and then put stress on nerves, muscles and joints. It can also thicken and become more solid if there is a lack of movement (such as around a frozen shoulder). The good news is that fascia can be released. 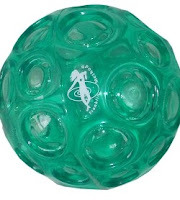 It has sensory receptors which respond to touch and pressure (such as rolling on a ball, massage, tapping and vibration). This means that when you release fascia you can decrease the tone in the surrounding muscles. So the muscles are less tight and are then more able to stretch. In our hamstring release classes, we used our hands to massage the superficial fascia at the back of the thigh and as a result we were able to reach further down our legs. So the muscles were able to stretch and their tone had changed so they were less likely to cramp in the Shoulder Bridge. In these two pictures, I have a fascial release ball under one set of hamstrings. I'm flexed forward over the leg to bring my hamstrings into a lengthened position. By staying and breathing for a short while - using this method - I'm also able to influence the tone and resting length of the hamstrings effectively and gently. In our April and May term we've also found some surprising effects on flexibility in joints of the body quite far away from where we were releasing - again the power of connective tissue! 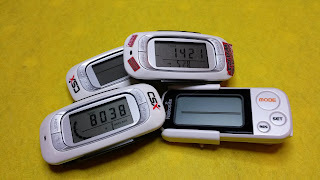 Spending two hours every day driving my daughter to a new school prompted me to buy a pedometer to check how active I am. 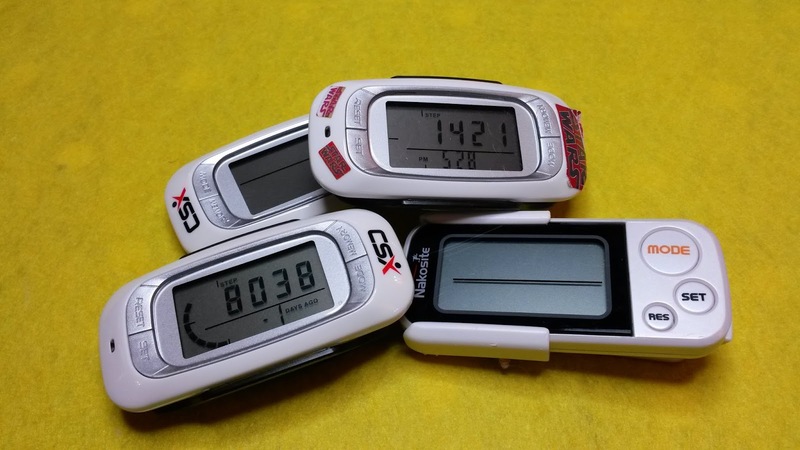 I bought pedometers for my daughters (aged 8 and 14). And my husband has a Fitbit already - which counts driving a car as climbing stairs! Luckily that can be rectified with the Fitbit. 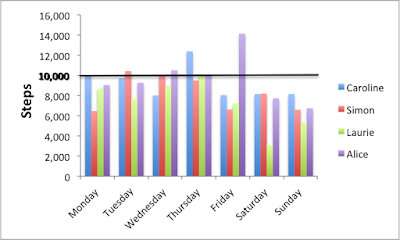 Meanwhile, in a mildly scientific way, I decided to experiment and compare our steps over an average week. Not a Step-Off style competition as such, just a step count. Interestingly, on a rainy day, she took hardly any steps. We still walked to school in the rain but at school she stayed in one room pretty much the whole day - so not many steps. And for my husband, a pretty decent step count for someone with a long train commute and a desk job at the end of it. 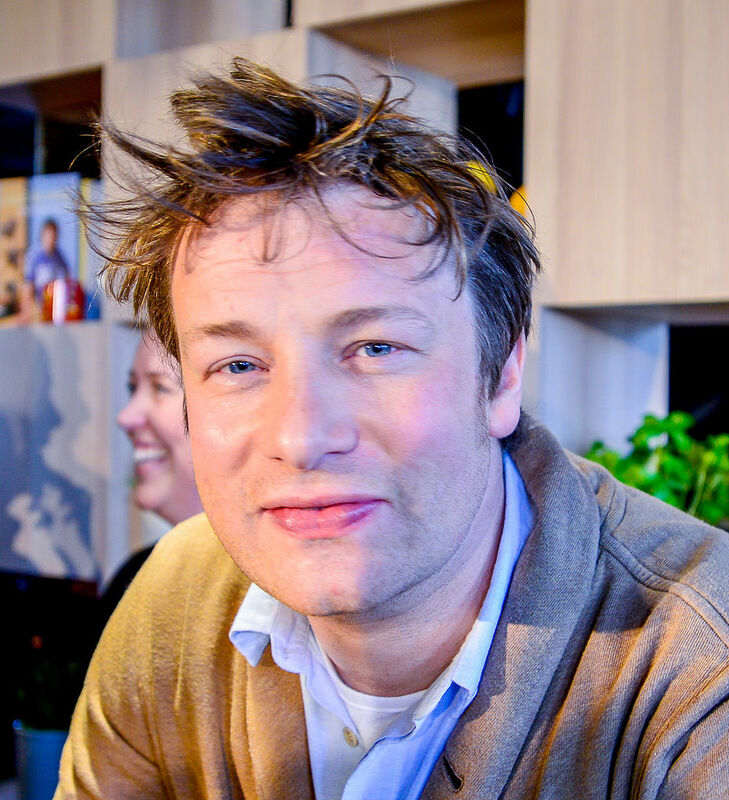 So, here's how we did last week in steps. 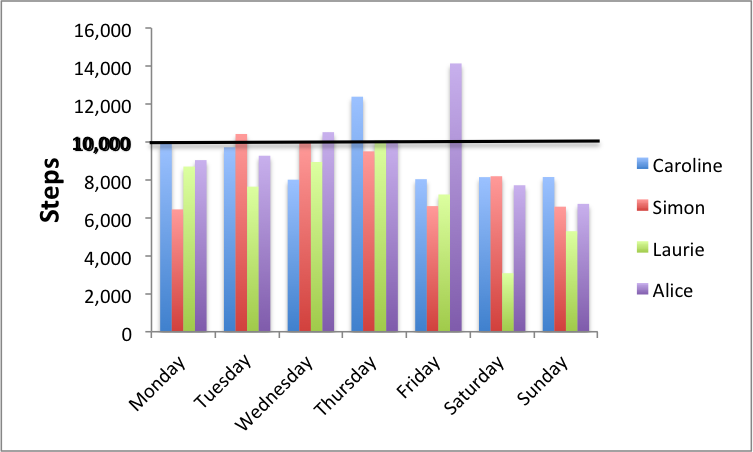 Our overall winner was Alice with an impressive 67,513 steps over the whole week (not that it's a competition!) Running for Sport Relief on Friday definitely helped boost her steps. And large amounts of school homework took it's toll on Laurie's weekend steps. So having done our experiment, we're certainly not feeling smug as a family - but now we're more aware of how much we move. 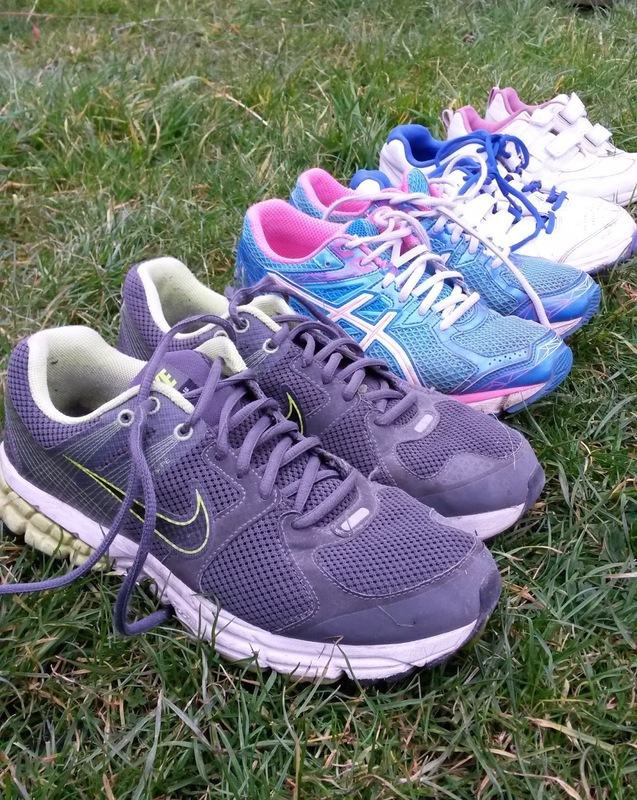 Knowing that rainy school days can be tough on active kids, I think they would love St Ninians, the Scottish Primary School which has pioneered the Daily Mile where children go out and run for a maximum of 15 minutes everyday in any weather. 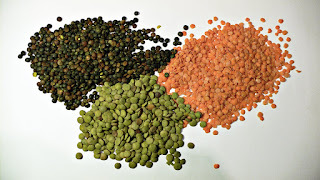 The reported benefits for the kids are better focus, more confidence plus they're eating and sleeping better. And on weekends, for the whole family, if you don't leave the house and go out and walk somewhere, it's much harder to get to 10,000 steps in! Have a happy and active Easter! 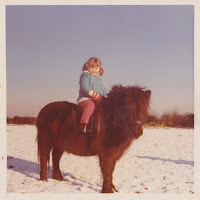 I love horses and grew up riding (this is me aged 3 riding Jimmy the Shetland Pony). Since then, things have moved on! Sadly, I no longer have a horse in my life but happily I do have clients with horses in their lives. Holly is 1:1 Pilates client and Marcus is her the horse. In Holly's Pilates sessions we work on various releases to increase flexibility as well as working on shoulder, pelvic and core stability. Last week I went to watch Holly having a lesson on Marcus at Baulking Grange with Sally. 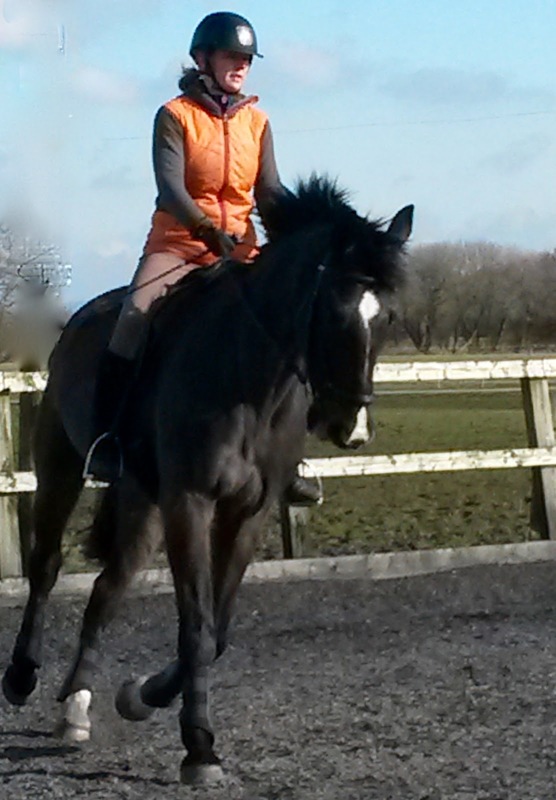 Memories of twenty-odd years of riding flooded back to me as I watched Holly riding 20 metre circles. And although Holly and I discuss her dressage in our Pilates sessions, as I watched her it was much more obvious to me how exercising helps Holly ride well. To start with riding relies on a hefty amount of fitness - more than you'd expect as an idle onlooker. 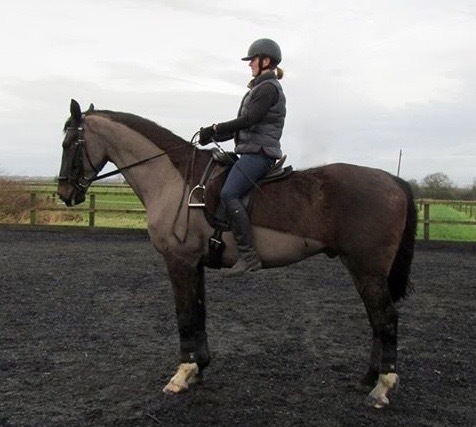 Sitting tall and keeping shoulders above hips and hips above heels is a fairly big ask for many of us, but add to that the motion of the horse, the centrifugal forces and the resulting challenge to balance and you're looking at some hard work! For balance you need good stability in the body. For the pelvis, this means maintaining an even weight distribution through the pelvis; so the triangle of pubic bone and sitting bones take even loading. Core strength is going to be key here. For the shoulders and the arm position, shoulder stabilisers will be important too. The rider needs enough flexibility to be able to find the correct body alignment in the saddle. For example, the hip joints need to be mobile enough for the rider to find the correct leg position. This then allows the horse to move and breathe properly. The right leg position in riding also lets rider communicate aids through to the horse with her legs. This is important for maintaining the correct alignment as you ride. For example, are you aware of whether your hands drop? If they do drop, the tendency is for arms to straighten which then locks wrists and elbows. Okay so none of us are perfectly symmetrical and nor are horses! But asymmetries can be amplified when you ride as the horse is affected by the rider's lack of symmetry. For example, if your left arm is more dominant than your right, the horses's canter will be affected. 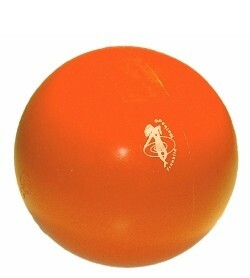 On the left rein (moving anti-clockwise in a circle) it will be harder for the horse to begin cantering. This is because it leads its stride with its back inside leg and this will be more restricted by the tight grip on the left rein. So riding is complicated! There's a lot involved for both rider and horse! Holly is a very good rider. She's also very good at Pilates. And having watched Holly ride, I can see how we can tailor exercises more to help work on alignment and body awareness as well as working towards even greater symmetry. For a less experienced rider perhaps the first thing to work on with Pilates would be core strength to enable basic stability in the saddle. Following that, increasing both flexibilty and body awareness will go a long way on a hack or round the dressage ring!